What a dilemma to arrive one day to find one of the Cygnets in trouble. 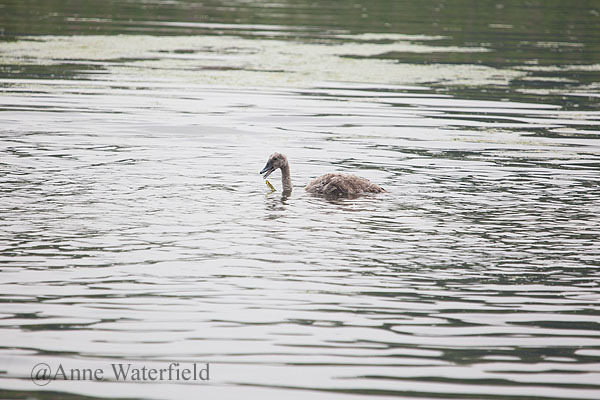 We arrived one day and saw 4 Cygnets so instantly looked for the 5th only to find it flopping around in the middle of the lake, it couldn't stay upright and on top of that George from the bridge was trying to drown it. All caught up with fishing line around legs and a hook through the bill.